Google has updated the webmasters guidelines for sneaky redirects (cloaking) and now redirects intended for mobile audience are also included. 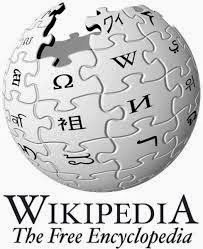 Cloaking is a practice where search engines cache a different copy of the web page than what is shown to the visitors. With the increase in the number of users using mobile devices, some webmasters have started redirecting mobile users to a different page resulting in cloaking. The desktop version of the site remains the same. The previous Google webmasters guidelines didn't included such stuff and examples for cloaking. This is the reason, Google updated their sneaky redirects guidelines today. Search engines shown one type of content while users are redirected to something significantly different. Desktop users receive a normal page, while mobile users are redirected to a completely different spam domain." Pinterest is constantly looking to tap new opportunities. Hui Xu, Head of Discovery Team at Pinterest recently shared on the blog a new set of guided discovery in order to help users choose between several available options. search engines are better at finding an answer when the answer is one but when it become difficult when there are several choices available to a question. In such a scenario, Pinterest guided search can come to the rescue. Have a look at the video in order to learn more about the guided search. This is really impressive. Let's see how well Pinterest guided search goes with the audience but competing with Google is not that easy and the developer need to be creative enough to keep the user engaged. Nevertheless, it's a nice new enhancement for Pinterest. So, Happy Pinning! Matt Cutts in a recent webmaster video has pointed out that producing higher quality and superior content is one of the best ways to rank higher on Google if you think of the long term. Well, that's an easy advice but often it turns out to be tough for the small business owners. 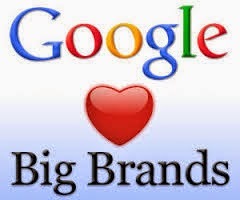 Small Businesses Need to Become a Brand in Order to Succeed - Facebook, even Google Did the Same! Interestingly, he never said, bigger brands do not have an advantage to rank high because of higher traffic and popularity they already have. This means brands have an advantage of ranking higher. This is true because they deserve to be at that place and Google can do nothing about that. Following the user and creating a brand will help you in the longer run. Don't follow dodgy tactics and don't think of the short term gains. It is difficult to become a brand and that is the reason it pays so well! Have a look at the following tutorials for understanding the importance of content and how to create quality and user friendly content. Also, read the following posts that explains about the importance of brand. In order to revamp your current SEO strategy, you need to do consider re-evaluating your USP and focus all your attention on the user. This is the recipe for long term SEO success. 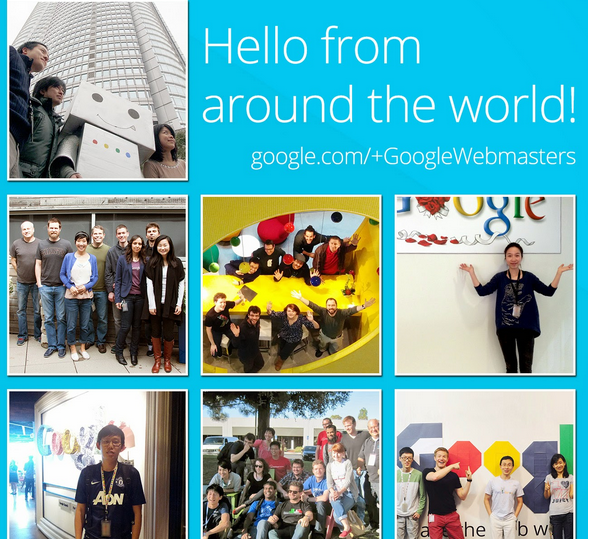 Google has recently launched its official webmasters page on Google Plus. This was announced on the webmasters blog. I recommend you to join this page in order to stay updated with the recent news and announcement related to Google search and to find tips on making your site search engine friendly. More than 17 thousand people have already joined this page in such a short period of time. Don't lag behind, if your job is related to internet marketing then do follow Google. The SEO industry constantly tries to predict the way Google works. Apart from Black Hat SEO's who try to find loopholes into the actual algorithm system, genuine SEO's try and understand the reason behind why a specific website ranks higher than another one and instead of trying to manipulate the search results, they follow the Google's guidelines and plan their strategies in order to help the user. Two of the biggest ranking factors that have been debated from a long time without any actual proof are Co-Occurence and Co-Citations. Backlinks as we all know are dominated by the presence of relevant anchor text which is open to spam. On the other hand, metrics like Co-Citations and Co-Occurrence are harder to manipulate. But, will they return accurate search results if implemented properly is still unkown. This is the reason, Google still relies heavily on anchor text and backlinks. 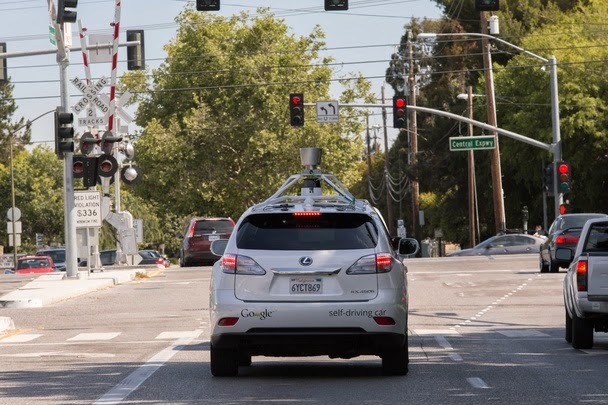 But, certainly these metrics are set to play a greater role in future and we cannot say either that they are completely ignored by Google. Let us now understand, the meaning of these 2 terms. Co-Citation- In short, these are your neighbourhood links. You must have seen those references while reading any Wikipedia article on the web. These are nothing but Co-Citations, relationship between 2 documents. In this example, the 11 resources cited by Wikipedia are all related to the topic "Co-Citation". Hence, this metric decides your neighbourhood links or your company. Now, its upto you to decide whether you wish to be cited in a relevant company or a spammy company. Some webmasters tend to buy links from irrelevant sites that cites different sources together which bear no similarity to each other. Considering a site linking to "buy inkjet printer" along with a link to "play online casino". These links cited by the source do not share a common similarity and thus play a devastating role in making Google believe that your site is spammy. Hence, the site providing the link and the site getting the link, all need to be careful in order to get a high relationship score. Co-Occurrence- In short, these are brand or product name mentions in relation to a keyword. Suppose, my name is often associated with my blog's name seosandwitch.com. This means that Joydeep Bhattacharya (my name) has a high relationship score with the keyword "seosandwitch". This is what co-occurrence does. The hummingbird algorithm started a fresh new beginning for Google which started to return answers instead of web references. This algorithm was based on searcher's intent and not keywords. Semantic search analysis involved understanding the intent of the user before presenting the search results. The metrics Co-Citations and Co-Occurrence play an exciting role here. Google can easily determine the relationship between Barack Obama and America using Co-Occurrence metric. This is what semantic analysis does. Please note that there is still no proof that Google is using these factors in its main algorithm but they must certainly be given a second thought. 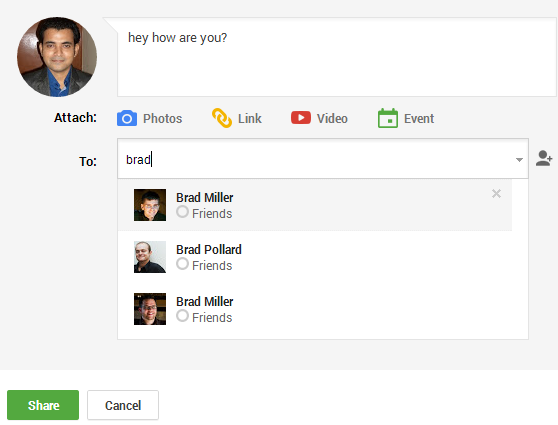 Here are some awesome tricks that you can do with Google Plus. Ripples do not happen for every post but instead they happen for posts that attain a decent level of publicity through reshares. Suppose if your post gets shared and then reshared by several people then that post will create what is known as Ripples. A post that generates Ripples is of a high quality and generally receives much visibility. Love animation? You can use a moving image as your profile pic to grab more eyeballs. Yes, you can easily search pictures shared on your Google Plus profiles by using the advanced search feature. You can share your post privately to any one just by entering the email address of that person even if the person is not a member of Google Plus. By default all the shares are done public but you may choose your own private sharing options as per your needs. Make sure to diable reshare of the post. Google Plus offers a 5 GB FREE space to keep all your pictures on Google Plus (a threat to Flickr and Pinterest). You can upload your favorite pictures using any mobile devices. It's really easy dude. Google Plus allows you to create a vanity URL for your own profile. Instead of displaying unmeaningful text and numbers, you may allow Googlle Plus to display your name as your profile URL. There are several SEO myths that are a talked about topic among the seo industry. Some of the biggest seo industry myths are highlighted in this exciting webmasters video with Google web spam team head, Matt Cutts. Myth 1: Buying Ads Can Increase Your Organic Rankings or The Opposite is True? Explanation: Both are false. Buying ads or not buying them do not play any role in increasing the organic rankings of any website. Google always wants to present the best search results to the users so that they keep coming back. All the changes that Google makes towards its algorithm or the SERP presentation is related to this mental model only. Explanation: Building backlinks by way of article syndication, guest blogging or link wheels is not a good idea for the longer run. Many people use automated link building softwares which are not that efficient and must not be considered as a white hat seo method. Many people say they made a lot of money using these methods but the fact is if somebody makes money using any particular method then they won't share the idea with everyone. It seems like everyone is talking about big data these days. With businesses of all sizes starting to turn to the world of big data for information and guidance, even utilizing it to pick out future trends in their business, the onus is on businesses of all sizes to start getting ready for big data, or risk losing out on a competitive advantage. So just what is so important about big data? What challenges do businesses face in implementing it? And how can they face those challenges to not only make themselves ready for big data, but make the most of it too? The first question most businesses want answered is simply, what is big data? There's an adage that anything you can't handle using an Excel spreadsheet counts as big data, and there is certainly some truth to that. There are many sources of big data and at first glance it can seem like a lot of noise that's not really worth the hassle. 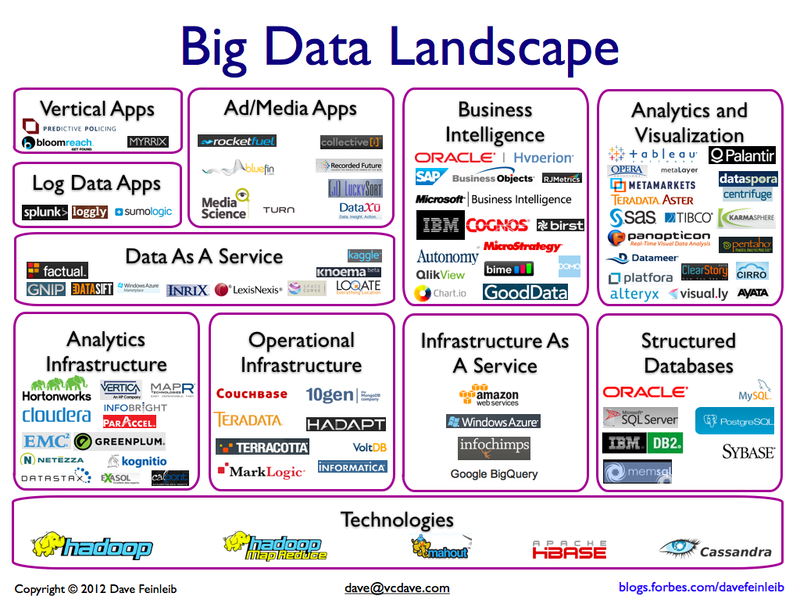 So what's the big deal about big data? The big deal is that big data can be used to give any company a competitive edge. By trawling the information and mining what is useful, a business can gain insights into the likes, behavior and characteristics of its customers. This can then be used to do more of what works and fix what doesn't, giving businesses a chance to streamline their services. Take for example a company who wants to figure out which of their Facebook posts are performing best. Using big data - in this case information gathered from their Facebook account - they could analyze their content to get useful answers. · Which kind of posts perform best: Offers? Pictures? Humor? Useful Tips? · Which posts were more likely to lead to a sale or further dealings with the customer? · Is there a particular time or day when posts perform best? · Who is clicking on the posts? What can the business learn about their customers? When it comes down to it, big data contains within it a wealth of useful information that can not only look deeper at customer behavior and business performance, but show up possible future trends too. The difficulty for many businesses is how to overcome the challenges and implement big data. The first challenge facing companies who want to use big data is a lack of skills among their current team. Big data involves a big learning curve - from learning the technology needed to process it to analyzing it and sorting the wheat from the chaff. For businesses that need to start combating big data skills concerns, training is key. Businesses may well find they can draw the skills they need from their existing team without the need to employ a data specialist. Whether in-house or through an external provider, good training can help the whole team make sense of big data, and their place in their employer's big data plan. Talking of planning, figuring out what to do and how to do it is one of the biggest big data challenges facing businesses today.With so much data available it can be all too easy to rush in and start gathering data without much of an idea what it's all for. Now that really is like looking for a needle in a haystack. To combat the tendency to gather it all and then find an unwieldy and disparate set of figures facing them at the end, businesses need a good plan.This needs to clearly answer the question: What data are we collecting and why? The data needed to increase sales to a specific segment will differ from the data needed to predict interest in an upcoming product, for example. Knowing the destination makes it easier to draw up a plan and avoid unnecessary diversions. If big data is fairly new in a business, getting it collected can be a hurdle. That's why planning matters - businesses need to lay out clearly what is to be collected, and who will collect it how, from where, and when. Getting good quality data should come as standard at this stage - low quality data now can lead to low quality results down the road. Along with collection comes the question of storage. The options for collection and storage vary. Cloud hosting solutions like Apps4rent allow you to stay productive from any device. Setting aside time to research options and figure out which are the best fit for the businesses current big data needs and future big data plans is key to success. It is important to make use of. All the big data in the world won't help a business to grow or be worth the time spent on it if the analysis isn't smart, clear and very usable. Services like virtual desktop cloud allow anyone to check up on work on move. As well as needing the technology to analyze it (more on that in a moment), skills also come back into play here.Whether a business hires a data expert or draws from their existing talent pool, the capability to analyze the data and get clear, true results are vital. One of the biggest worries for businesses adopting big data is the learning curve associated with the technology.One of the most common choices is Apache Hadoop, an open source software designed to handle large data sets. There are other options - IBM's InfoSphere is designed for real-time processing, and Twitter has even gotten into big data with its Storm application. Investing in big data can have a big payoff, but for those not able to take that step yet, it's perfectly acceptable to start smaller with existing technology so long as there is a real and workable plan to go bigger. As with any new technology, the key really is training and allowing enough time to learn new skills, along with clear motivation about why this matter, to the company as a whole and the trainees personally. Getting ready for big data can seem like a daunting task, but it's one that businesses must nevertheless face if they want to stay competitive in their field. The keys to big data success are planning, a clear aim, and enough time for training. The results are well worth it. Google Analytics has updated for the better and today I noticed a few changes being made on the analytics interface. Visits have been replaced by sessions (which technically means the same thing) and unique visitor metric has been replaced with users (which also means the same). 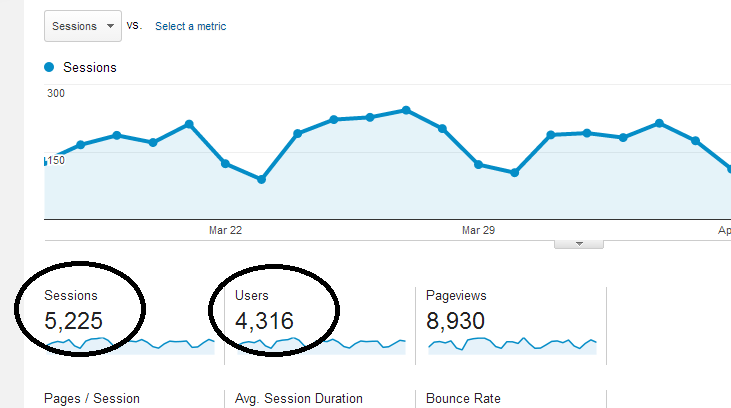 Here is a screenshot that displays the new metrics namely sessions and users. What are Sessions and Visits? Sessions and visits are synonymous. When any visitor visits the site, a session gets created and this session remains active for 30 minutes or less if the site is closed by the visitor. Hence, visitors create sessions and 1 visit is equal to 1 session minimum. What are Unique Visitors and Users? It may happen that a single user can create multiple sessions over a period of time like for the past 30 months. In that case, the user metric displays the number of unique visitors who have created unique sessions. Hence, I hope the confusion is clear. Google has gone a little technical from being layman. Google has also added some useful graphs under the Acquisition overview. These are Top Channels, Sessions and Conversions. Are you worrying the next Panda or Penguin update? Is the fear of losing traffic and revenue from your website not letting you sleep? Here are top 5 ways that will force Google to take your Website seriously. 1- Forget "Website" and Think of "Brand"
I have been saying this too often and now the time is ripe enough to start taking your website as a brand. The product or service you sell should not be anonymous (lesser known brands are same as anonymous because nobody has ever heard about them), instead it must be related to a well known brand. If you are able to do this then Google will start taking your website seriously. I know this is not easy but ultimately you will have to adopt to this strategy. At the end of the day, who are you waiting for in order to get a successful conversion? Google or the user? You got that correct! Serve the users and get conversions. Designing a site primarily for the search engines will not help in conversions. Every decision whether designing a website or adding content should be focussed towards the user and not the search engine. Think for the humans and Google will reward you. What does a child does in order to grab the attention of parents?? Hmm...he cries!! If an infant understands what is the right strategy to get user attention then why can't you? Always try to remain in the NEWS, let people recognize your brand instantly and gather as much social love as you can. 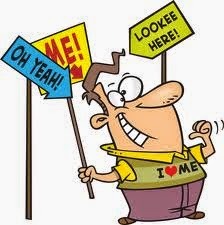 Grab the attention of the user and solidify the belief that your brand is authentic and genuine. Focus your marketing efforts in a manner that it makes the user return to you again and again. Respect and love the user so that your brand benefits from "word of mouth". These are some ways (I know they don't talk about SEO but rather marketing) to fuel your conversions and let Google to take your website (BRAND) seriously. I simply love Google Chrome extensions because it eases up my tasks related to SEO. This post lists some of the best SEO tools and extensions for Chrome. Lets you check Domain Authority and Page Authority and highlight links and keywords. It helps in a quick site audit with a detailed page level analysis. Provides a summary of the top backlinks along with their anchor text and information related to TrustFlow and CitationFlow. Keep a track of essential SEO parameters like Alexa Rank, Google Index status, Page Rank, Semrush rank, Nofollow links etc. Provides a detailed SEO report consisting of metrics like traffic estimations including adwords traffic, on page metrics, link metrics, mobile seo metrics etc. Allows you to see Google search results for different countries. An amazing plugin and I use it to distinguish between the search result pattern in different countries. It helps to visualize how your website in the search results. You can add meta tags and see how your site will appear in the search results. It lets you analyze the essential on page elements of any webpage. The main metrics include on page, social, link and security analysis. The key features of this tool includes URL level analysis, on page analysis, page rank, alexa rank, social media status, GEO information and WHOIS information. A great tool that makes seo analysis, link analysis and social sharing easy. Useful tool to track any website's social presence. It tracks Facebook likes, Tweets and Google Plus Ones. A simple tool to check the Page Rank of any web page. This extension is useful for checking proper redirects and HTTP paths. Lets you check the WHOIS data for any website with just a click. Metrics include domain name, IP address, Who is data, nameservers etc. This plugin can surely ease up your tasks because it allows you to scrape data from web pages into excel sheets. Sound easy right? This is one of the newest tools which allows you to check the Facebook meta tags contained on particular web pages. This tools allows you to reveal URL's on webpages without actually visiting them. It shows the URL you are going to click. An awesome extension for finding information about websites site rank, value, location of the server, basis seo stats etc. A shortcut to the main tool. Really useful to get detailed suggestions for improving the speed of the page. A mischief tool that allows you to fake other browser or tools by tricking the Chrome's default user agent. This tool allows you to protect your privacy by letting you to see who is tracking your web browser. This tool reveals the technologies used on websites. However, there are a selected list of applications that this extension may reveal. It allows you to capture the visible content of any web page. A complete tool to analyze the basic seo metrics of any website. 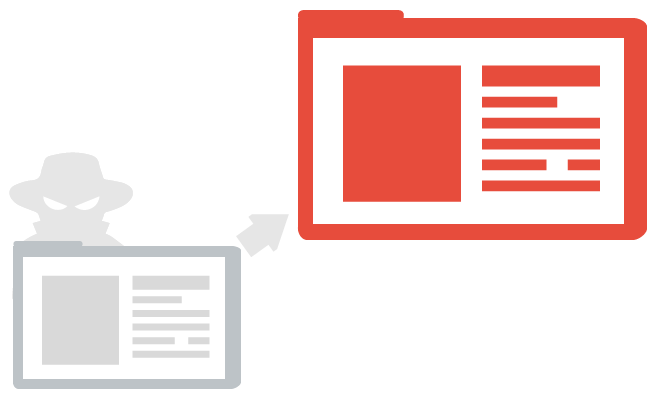 This extension lets you open, copy and bookmark multiple links at the same time. It allows you to shorten the current website URL. Forget about visiting the website goog.gl, instead install this extension and easily shorten the necessary URL's. Hope this list helps you in your seo efforts. Please share your favorite Chrome extensions in the comments below.